Charcoal's World was bounded by the mountains, hills, and plains of southwestern Alberta. That was the homeland of his people, the Blood Indians, but Charcoal was not free to enjoy it as his ancestors had. For millennia, they had lived each day in the company of spirits, and even with the coming of the white man that much did not change. Major Samuel Benfield Steele of the North West Mounted Police did not know about the Indian spirit world and would not have cared to learn. In 1896 when Charcoal killed a man and made attempts on others, Steele saw him as a common murderer and vowed to chase him down. The tale of Charcoal is well known among the Indians of southern Alberta. Their stories of his exploits agree in many ways with the official reports of the North West Mounted Police, but the two sources conflict in the reasons for the success of Charcoal and his eventual downfall. 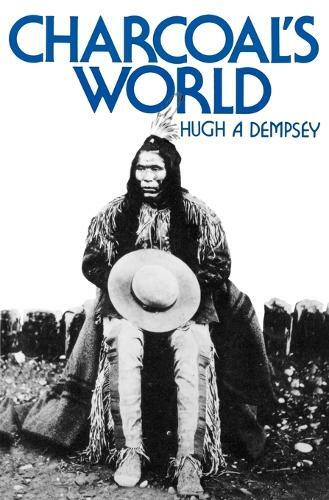 Hugh A. Dempsey has spent twenty-five years researching the material on Charcoal; he has studied the government records and spoken with the elders and historians of the Blood Reserve. The result is Charcoal's World, giving us the Indian side of this remarkable story of Indian-white confrontation.